Nowadays, people are pretty much used to do every single thing online. Whether you are hungry, need a ride home or desperately looking for a professional team of maids to tidy up your apartment - all of this can be booked online. 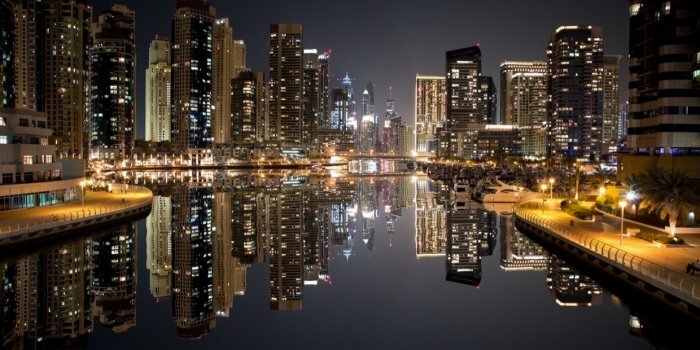 So there’s no surprise, that more and more people are trying to book their yacht cruises, speedboat rides and fishing trips from the convenience of their mobile devices, laptops or desktops. Some of us don’t really want to follow up on a confirmation, make tons of unnecessary phone calls or feel anxious about their trips - people just want to choose, book and pay for their boats, and get the confirmation afterwards - this is it. 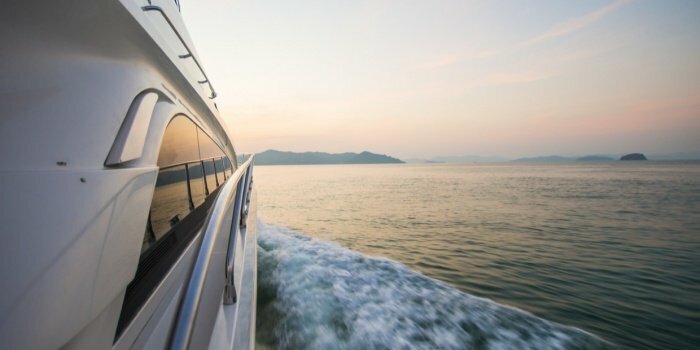 Yacht bookings have been on a rise lately - more and more people decide to spend a couple of hours in the open sea waters, to get that special leisure feeling, that you can only experience aboard a luxury yacht. 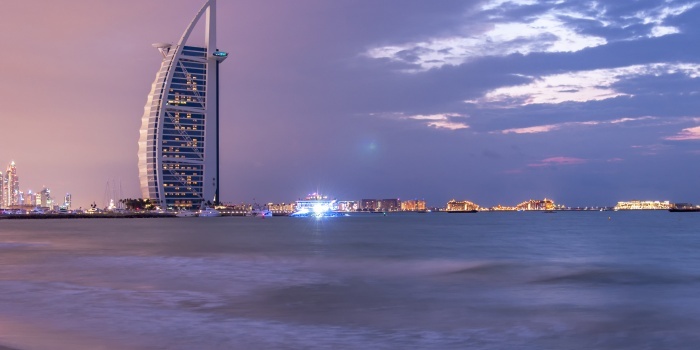 So how do you book a yacht in Dubai, and experience no hassle whatsoever? Simple - you book it online. That’s right, now you can book your boat, pay for it and get a confirmation in just a matter of minutes. Your trip is just a couple of clicks away. And we are going to prove it right now. First of all, you need to decide on the date, duration, and a time of your trip. But if you are reading this, you have, probably, already did. Then, after you click the Search button, you will be given a list of the available options, as in example below. 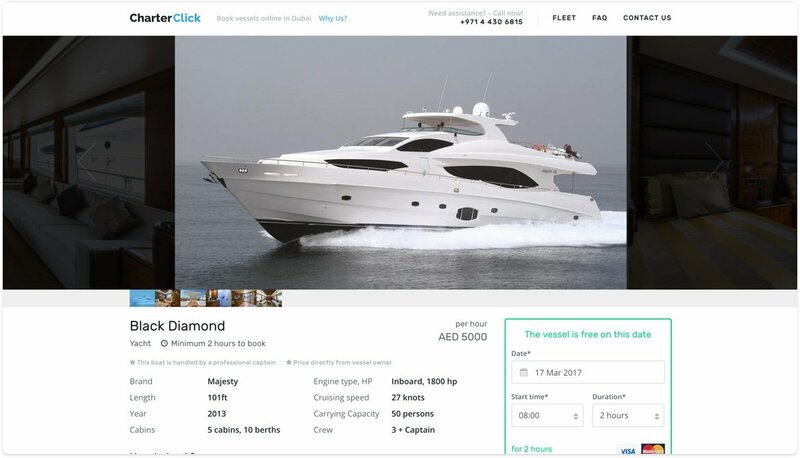 After you have chosen a preferred boat from the results that you have been given, you can proceed to the page of the corresponding boat by clicking on its name or just clicking a Show More button. On a boat’s page you can check some additional photos, see technical info of the boat, what additional features or equipment are available on board. 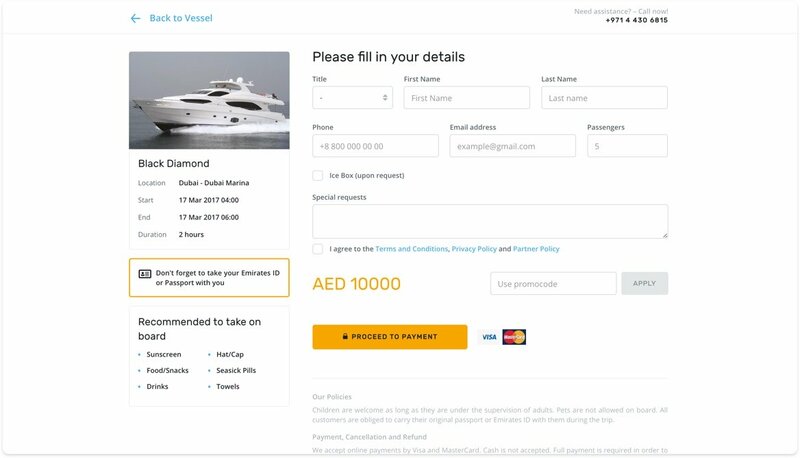 The amount of the information that you are able to see here will let you make your final decision - whether you are ready to proceed to the payment page, or you would like to check another boat. Speaking of payment - once you have found an optimal boat, you can proceed to the next page, where you just need to fill in all the necessary details, so we can make sure that your trip with us meets all your expectations. Here you should enter your name, phone number, email address (this is where the confirmation will be sent after your payment is complete), number of passengers expected on board and any additional comments you may have. If you want to spend a couple of hours fishing, you should tick a corresponding tick box, so we can prepare a special bait set for you - absolutely free of charge. After you are done, there’s only one more thing left to do - just pay for your booking with your Visa or MasterCard, and you are ready to go (SSL encryption has been implemented on CharterClick, so all our customers’s data always stays safe and secure). Now just check your email - your confirmation is probably already there, along with a direct email address and a telephone of your boat provider, in case you would like to contact them to arrange something extra. As you can see for yourself, the whole process takes mere minutes, and after you are done, there’s no need to worry about your arrangements anymore - everything has been confirmed already. Now you can spend a lot more time planning the whole trip, so everybody would get a one of a kind experience, and remember it for years ahead. 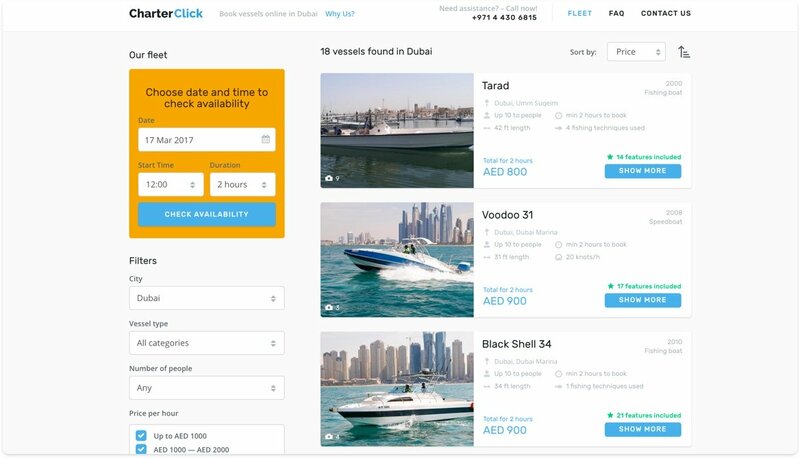 So the next time you need a boat, make sure to save yourself a lot of time, and book your trip online in just a few clicks on CharterClick.com Be smart - book online.